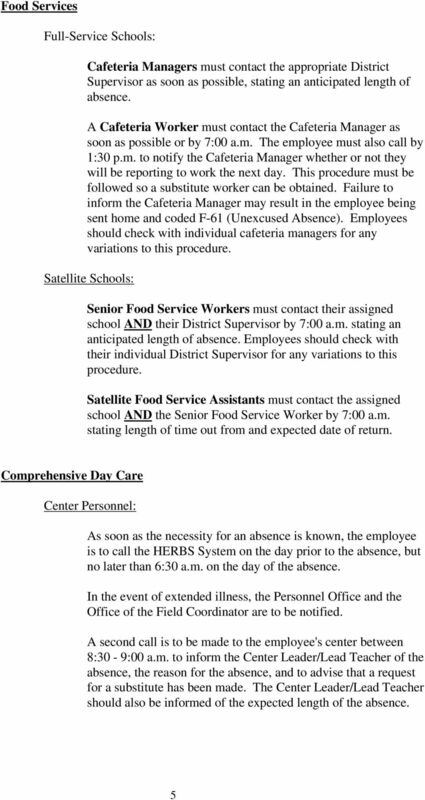 Download "EMPLOYEE SICK LEAVE POLICIES AND PROCEDURES"
12.01 Vacation A. 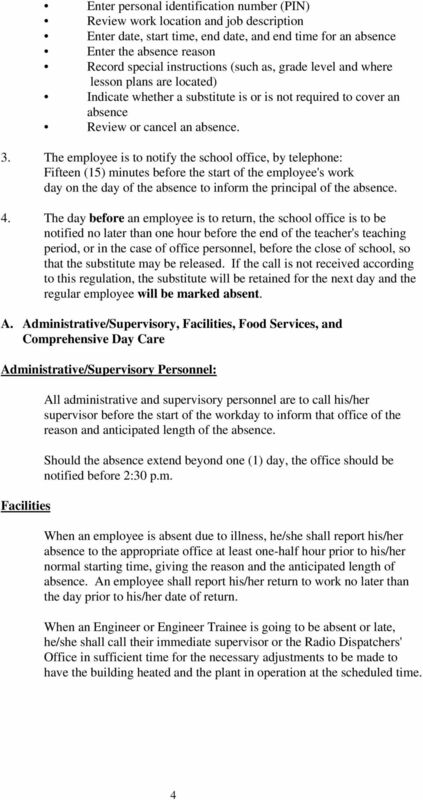 General Policies CHAPTER XII LEAVES AND HOLIDAYS 1. A regular classified employee, permanent and probationary shall earn vacation at the prescribed rate as part of his/her compensation. 10.2.4. Accumulation. 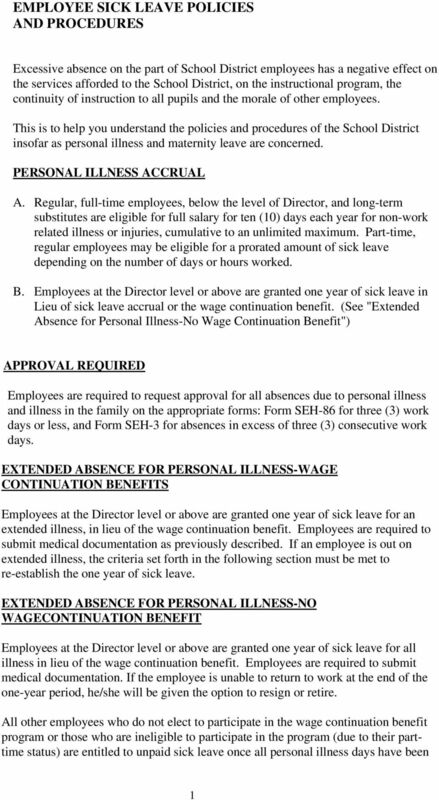 Full-salary sick leave not used shall be accumulated from year to year without limit as provided by law. 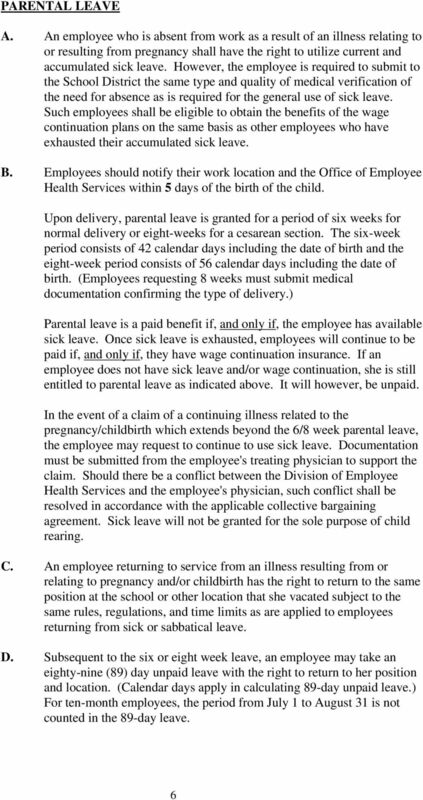 FAMILY AND MEDICAL LEAVE ACT (FMLA) POLICY Purpose To define policy pursuant to the federal Family and Medical Leave Act for employees of Olympus Corporation of the Americas ( OCA ), Olympus America Inc.
b. Any change in the standard work week for full-time employees shall require approval of the appropriate employer representative and the President. Family and Medical Leave Act (FMLA) FMLA is a federal law designed to balance the needs of employers and employees in circumstances when employees must take medical leave for serious medical conditions. PARENTING LEAVE. II. SCOPE This policy applies to full-time permanent employees except where governed by a Memorandum of Understanding (MOU). 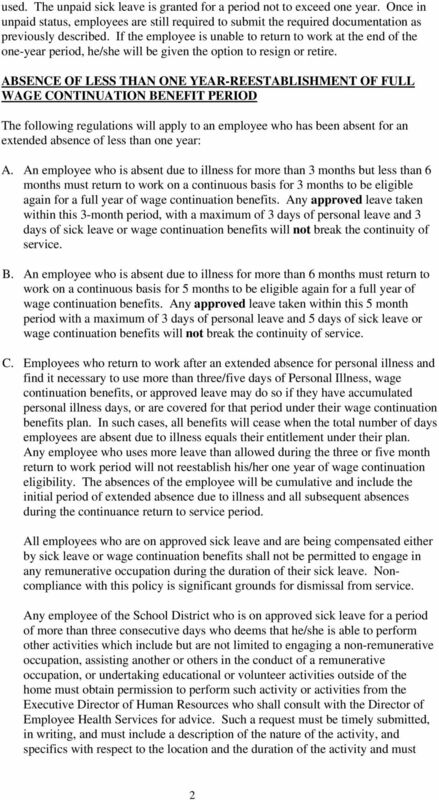 1 STIIP (Short Term Illness and Injury Plan) 1.1 Eligibility (a) Regular employees shall be covered by the Short Term Illness and Injury Plan upon completion of six months active service with the Employer. Accessing and Managing a Short-Term Disability Claim (non-work related) I. Basics II. III. IV. STD Packet Accessing STD Benefits Letters You May Receive V. Supplementing Income Replacement with Leave VI. 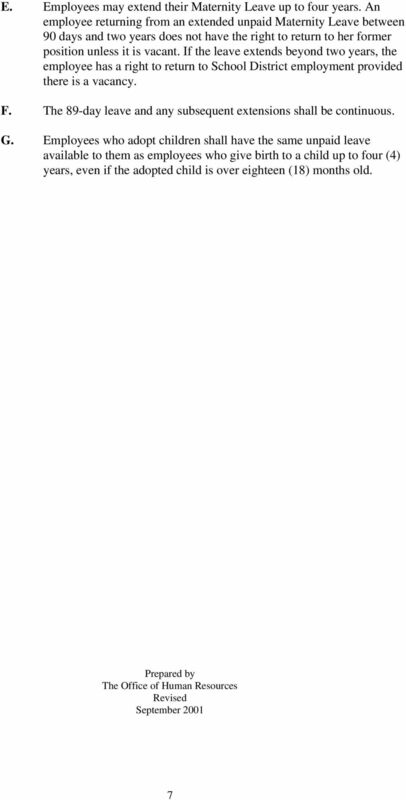 "Base Daily Hours" Average hours that an employee will work in a normal workday. TABLE OF CONTENTS PART A. If you have any questions, concerns, or disputes with this policy, you must contact [insert name and contact info for appropriate person] in writing. 1.1 Work Services Corporation recognizes certain designated days throughout the year as paid holidays. 419.01 Fringe Benefits A. Group Health Plan Coverage and Life Insurance Details of hospitalization/major medical and life insurance for all full-time faculty members may be found in the Faculty Contract. 1. Purpose To set out the revised University Sick Leave arrangements effective from 1st September 2014. 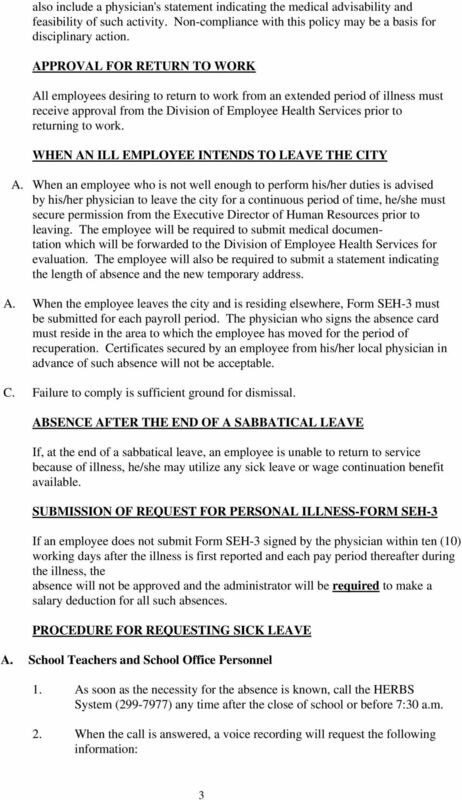 Procedure No: 33 Revision: 6 Sheet: 1 of 10 Date of Issue: September 2014 Sick Leave Regulations 1. Purpose To set out the revised University Sick Leave arrangements effective from 1st September 2014. Employees may also be eligible to take up to 26 weeks of leave to care for a covered servicemember during a single 12-month period.